Unbeatable prices - You will find comparable sheets in this category at least 40%-50% higher than our prices. You will find these exact same sheets at a number of retailers at double this price. GUARANTEE: PLEASE CHECK "SOLD BY" SELLER NAME, Addy Home Products are not distributed internationally so please ensure you only purchase from a retailer that is based in the US. If your order arrives from an overseas shipper please know you did NOT purchase an "Addy Home" Product. If your order arrives from a domestic shipper please confirm that the shipping documents clearly indicate "Addy Home" as the shipper and manufacturer. If it does not - please contact Amazon and us immediately. Our 500 TC Supima sheets are exactly what the title states it is. 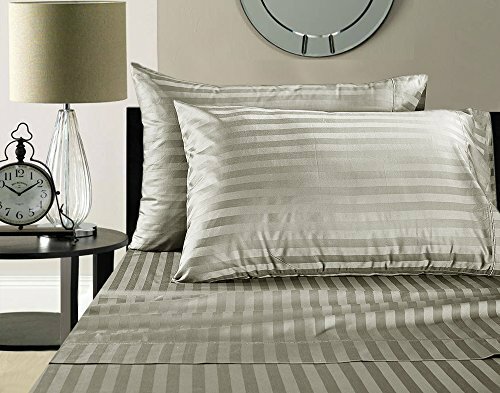 A true 500 thread count sheet set crafted from the finest Supima cotton yarns. No misleading Title or Description.